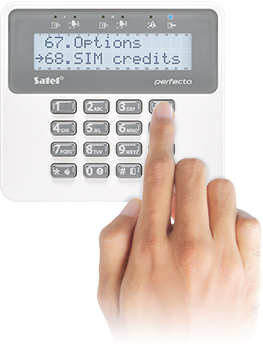 Simple configuration, intuitive operation and easy control - these features characterize an alarm system based on the PERFECTA control panel. This series is made up by four devices: PERFECTA 16 and PERFECTA 32, which allow you to create a traditional hard-wired system, as well as PERFECTA 16-WRL and PERFECTA 32-WRL, whose design makes it possible to create a wireless or hybrid system. Design of the PERFECTA control panel allows you to build a traditional wired system, offering all the functionality needed in small and medium-sized buildings. Both zone expanders and output expanders can be connected to the control panel, thus increasing the number of supported devices. It is a simple and reliable way for a quick expansion of the system. 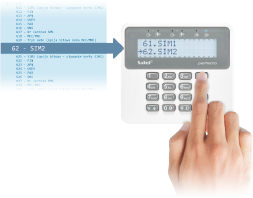 Direct access to all service mode functions of the control panel is possible from the keypad. 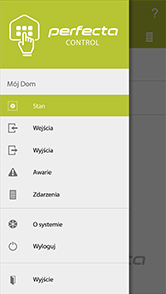 Therefore, individual settings can be changed quickly and easily, without having to use any configuration program. 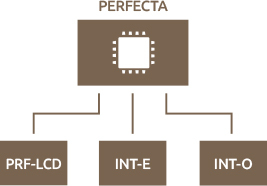 You can also configure the system by using the PERFECTA Soft program. 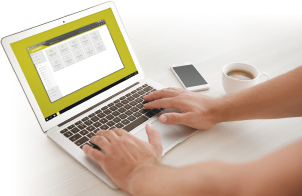 Its intuitive interface will guide you step-by-step through the stages of creating the system. 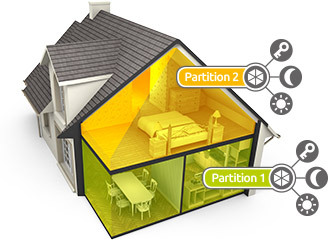 The system based on the PERFECTA control panel can be divided into two detection partitions. Each of them can operate in one of three modes, which are independent of each other. This gives the whole system more extensive configuration options, typical of more advanced solutions. The PRF-LCD wired keypad has a large, easy to read LCD display that provides convenient operation and full control over the system. The user is informed by audible signals about selected events. LEDs which indicate the status of the entire system have been provided above the keypad display. Buttons intended for quickly entering the desired armed mode and triggering alarms (PANIC, FIRE, AUX) are included in the set of buttons of the keypad. The keypad also allows the users to easily check the account balance on the SIM card. Solutions used in the PERFECTA control panels will be appreciated by professionals – both those preferring well-known and proven traditional systems and those seeking additional advanced functions. The brain of a wireless system is the PERFECTA 16-WRL or PERFECTA 32-WRL control panel with built-in 433 MHz radio module. It allows encrypted two-way wireless communication with the PRF-LCD-WRL keypads and the MSP-300 R sirens, which offer the full functionality of wired devices. The same module also allows for the inclusion of MICRA family wireless detectors into the system. 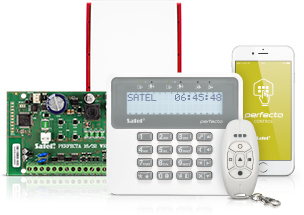 Along with wireless devices also wired devices, such as the PRF-LCD keypad or any detectors and sirens, can be connected to the PERFECTA 16-WRL and PERFECTA 32-WRL control panels. In this way, a hybrid system can be created, which makes it possible to even better match the system components to the characteristics of the premises to be protected. 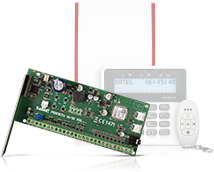 Control of the alarm system by using mobile devices is a solution whose popularity continues to grow. 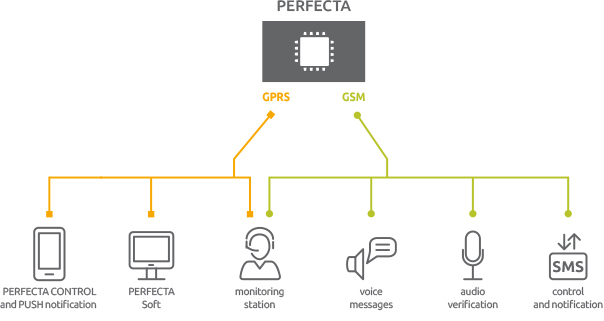 Therefore, the PERFECTA CONTROL mobile application, using GPRS technology, has been developed for remote operation of the PERFECTA control panels. 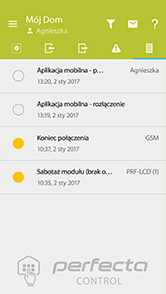 Functionality of this application makes it a convenient tool to control the system and to check the status of partitions, zones and outputs. 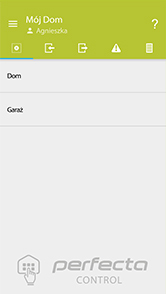 It also allows you to view current troubles and all events in the system. 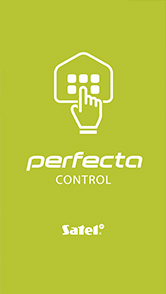 The PERFECTA control panels have an integrated voice messaging module, offering the possibility to define 16 messages. 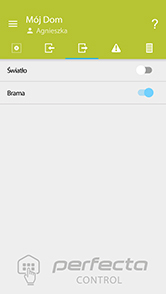 There is also a GSM/GPRS module with dual-SIM support on the control panel mainboard, which provides additional security in case of failure of the transmitter of one of the operators. This module enables events reported to the station to be monitored via GPRS, SMS and audio channel. Each of these three methods can be used independently of each other. It is also possible to define the priority of their activation. 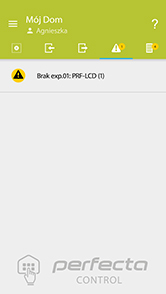 You can securely enjoy the extensive functionality of the PERFECTA CONTROL application and PERFECTA Soft program thanks to the SATEL connection setup service. It provides encrypted communication without the need to have an external IP address or carry out operations related to the advanced network configuration.